What is Player Proximity Systems? 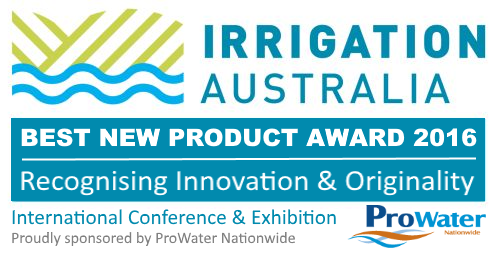 ​Player Proximity Systems (PPXS) is a suite of applications which won the Best New Product 2016 at the International Irrigation Conference & Exhibition in Melbourne. This system provides increased control over existing sprinkler installations enabling grounds staff to micro manage the golf course irrigation system saving water, power and man hours. The application was originally developed in Australia to solve a problem of wind dragging sand from bunkers on links golf courses, however it has since proven to be an invaluable tool during fertilising, drought conditions, salt spray and ground under repair. PPXS can be operated remotely and does not require staff to be on course to activate or turn off sprinklers. Player Proximity Systems has the added advantage of allowing sprinklers to operate during play and daylight hours by detecting movement and turning off operating sprinklers as players approach and turning them back on again when they leave the area. Get PPXS installed on your golf course to make savings of up to 70% in water and pump power usage and reduce costly staff hours. The operation of PPXS is simple requiring only a few minutes instruction and can be accessed via a tablet or mobile phone. With intelligent watering you can also reduce your fertiliser and seed wastage by micro managing your irrigation system. Let us show you how. ​Arrange for a free demonstration on your course today. Player Proximity Systems is designed to work with your existing sprinkler system. It is entirely self contained and can be installed at your course within a few hours. No longer will you need to plan your watering around the players. You can keep your fairways and greens in top shape all year round because your sprinklers will automatically turn off when the players approach, then turn back on when they leave the area. No more hand watering greens during summer, and no more waiting to repair that fairway. Water more precisely ... exactly when you want.